Keeping The Fluids Up During Trainer Season! Up here in the Great North the weather has had us inside for a few days on the trainer (minus those hardened riders riding in the rain!) If you find yourself starting to put in more time on the trainer be sure to be cognizant of your hydration! Often we don’t realize just how much fluid and electrolytes we lose during a trainer workout. A good guideline (although we all have individual sweat rates and require different amounts of hydration and electrolytes) is to weigh yourself with no clothes on both before and after your trainer workout. Post workout, for every pound of fluid lost, consume 1.5 cups of electrolyte and water solution. There are many products on the market that offer electrolytes without the carbohydrates such as Nuun, Eload Zone Caps, and Elete electrolyte add in to mention a few I have tried. Read the directions carefully to correspond with the volume of water you are mixing the product into. Don’t underestimate the fatigue and lack of power that can correspond with dehydration. Stay on top of your fluid and electrolyte intake this trainer season! Keep the rubber side down and the fluid coming in! Looking for a new way to eat your produce? I am a big fan of the lettuceLESS salad! In fact I’m posting this because I had one tonight and thought I would share the idea for those of you who have never made one! Or it’s been too long since you incorporated one into your meal. It’s simple and can be an explosion of flavors! Just choose your favorite produce and start chopping. Tonight I used 1/2 a zucchini, 3 celery stalks, 1/2 a mango chopped, 1 tbsp of cranberry goat’s cheese, 1/3 of an avocado, 1/3 of an apple chopped and then for dressing, no oil required! Just use white balsamic vinegar and mix with either agave nectar or maple syrup, drizzle, toss and enjoy! It’s really simple but carries a burst of flavors! Other combinations I often use include chopped zucchini, (I’m a fan :-)), strawberries, goat’s cheese, chopped dried (sulfur free) mango, celery slices, shredded carrots and dried cherries. I typically stick with the non oil based light dressing of balsamic with the agave and sometimes with fresh lime juice. You get a tart salad with a bit of sweet and a nutrient dense combination of flavors! Don’t be shy, just try anything. You will be amazed how it often just ends up tasting great! Bon appetit! And until next time..remember, you ARE WHAT YOU EAT! Every Successful Plan Begins with Preparation…Even Making Sandwiches in the Busy Holiday Season :)! A quick tip in this hectic holiday season! When you are go go go consider making the filling of your sandwich for a few days rather than just today. If you like a nice egg sandwich, instead of just boiling 2 eggs boil 6. Peel them and mash them all at once (I like to mash them with cottage cheese or plain yogurt instead of mayonnaise). Split the mix into 3 servings and put the 2 extras in a covered bowl in the fridge.. Tomorrow when you are go go go you can save that time boiling eggs or preparing tuna (I also use cottage cheese for tuna sandwiches) by just reaching for the bowl and filling your sandwich. You could even decide to have your lettuce ready and some sliced tomatoes. All prepared for 2-3 days at your fingertips. And voila done! 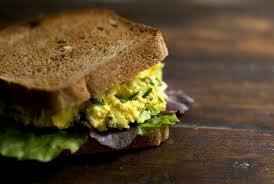 Opt for a healthy bread whem making sandwiches. Steer clear of white bread. Try Ezekiel bread (found in the freezer section) or a 100% whole wheat bread. Be sure the whole wheat bread is 100% whole wheat and that this is also the first ingredient. “Natural” doesn’t mean 100% whole wheat. Don’t get sucked into the trap of having no prepared lunch and bailing for a less than optimal fast food stop 🙁 that will leave you feeling less than optimal. Save time and prep for a few days. You will reap the benefits of saving money and improving your overall health! It’s a win win! A successful plan begins with preparation. You’ve been saying it for a long time “I want to lose weight” or “I’m tired of being heavy and out of shape” or “I want to be healthier, and vibrant.” Finally the day comes when you have set yourself up with a healthy nutrition plan and you have DECIDED to make a change in your life. Good for you. Part one accomplished. Now the follow through. Your plan is to lose 20lbs over 4 months by working out at the gym 3-4 times a week, cutting out your mochaccino, and making healthier nutritional choices according to your new nutrition plan. You are cutting the high calorie processed snacks and are determined to make it happen this time. You feel tired, sluggish, unhealthy and run down. You have decided it’s time to change. You run the scenario in your head of having the ice cream and how you will feel. You are so preoccupied with how good going back to your old ways of eating will feel that you have magically forgotten why you MADE THIS DECISION in the first place! Remember? Because you felt TERRIBLE, sluggish, tired, and unhappy with yourself, your energy and your body! You have become so fixated with your mental dialogue that you have stopped keeping your best interests in mind; your health and your mood; which you dearly wanted to improve upon. Eventually, you crack. You can no longer resist the imagined good feelings associated with this ice cream. Forget this!!!! You go ahead and just have it! And for that moment you feel this satisfaction. You are on a high…..temporarily. Then you start to question your decision, but you talk yourself out of it and continue eating what you WANT. Until you start to feel bad about this TOO. Now you have let yourself down and given up. And you feel worse than you did before you even started your new plan. You didn’t stick with your decision and support it. How could you, you were fixated on what you were not getting, rather than your NEW decision and it’s new behavior. It’s important when we make a decision to focus on THE DECISION MADE and the new behavior. In this case the focus is on the healthy choices and how they will improve your health and weight and mood. In turn you will not be miserable, tired and grumpy. If you keep on thinking about what you are NOT having, you are bound to get sucked back into having it. If you go back on your decision you will not become happy going back to what had you miserable before? Right? Read that again. If you go BACK on your decision, you will NOT become happy going back to what had your miserable before. Perhaps thinking about this logically in advance can help you in the process of change. NO MATTER WHAT YOU ARE CHANGING IN YOUR LIFE. Be prepared for the moment to come when you question yourself. Many people run through a dialogue in their minds that they should not “deny” themselves anything in this life. And so being firm when making a decision renders itself quite difficult when faced with a short term reaction to a food in this situation. Until you change your frame of thinking about the decision you have made, when push comes to shove and you allow your mind to fixate, you will likely eventually fall into the craving. On the other hand if you can really stick to the knowledge that what will be difficult in the SHORT TERM will serve you well in the long term, when the craving comes you will stay firm and realize this isn’t about “self denial,” rather this is about creating a healthier body that you will feel proud of and you will feel better living in because it will be full of energy! I truly believe once you make a decision to change your lifestyle you need to take it ONE DAY AT A TIME . Don’t think about this month or this week. Think about this day! And perhaps for some, this hour! Get out a calendar. Every day you succeed in your decision, check it off. Get a pack of happy face stickers if you must! Slap one on every day that passes that you followed your plan. Give yourself a pat on the back! HELL YA! YOU DESERVE IT! CHANGE ISN’T EASY! I recommend that before you embark on a decision that you make a list of WHY you are making the decision. BE PRECISE. When your mind starts to creep into imagining breaking your decision HAVE THIS LIST HANDY. LOOK AT IT!! RIGHT THEN AND THERE! This list is a quick reminder of WHY you made the decision in the first place! And should help you stick to your resolve. Now keep busy in this moment. Cravings pass. Focus on where you are going…not where you have been. Every time you make it through a moment of weakness it really helps to build yourself up. You can seriously improve your self esteem when you get to the end of the day and say to yourself “good for you, another good day!” It feels MUCH better than getting sucked into your thoughts..forgetting why you made the decision, cracking..and then feeling disappointed in yourself. Trust me! Little steps..boost you up over time. Keep your LIST handy. Your focus needs to be on the NEW DECISION and the actions it requires. Don’t focus on what you WON’T BE EATING. Focus on the new recipes, the snacks, the hydration and how good you feel already from the changes! Focus on the process of the change. Each day. In other words make a plan to LOVE YOU. And treat your body with care. You only get one. Some of us forget this until we are reminded by a disease. Treat your body with the care it deserves. Fill it with wholesome foods and nutrition. What’s important to remember is that just because you have made a GOOD DECISION it does not mean it will FEEL GOOD initially. It can feel hard. And you don’t always have friends and family there cheering you along. Who you have, is YOU. Don’t convince yourself that if this was the RIGHT decision it would feel better. We are creatures of habit. We simply need to focus on the new behavior and ….one day at a time. It will feel easier and better and the pay off WILL COME. Trust your decision. Ask some people you know who have made difficult decisions in life, how painful and hard were they? Did they feel great immediately? Was it just easy because it was right? I know every day people choose to change. Going into it knowing it will take effort, sometimes knowing this is the best mentality. Expect it. When you make the decision to change up your nutrition and you find yourself saying “this is hard”….please pull out that list. Maybe you want to become healthier so that you can play with your grandchildren and keep up with their energy? Perhaps you are overweight and know that something’s going to give if you don’t change (it will). Perhaps you are hypoglycemic and your moods are all over the place from processed foods, which affects your daily life. Perhaps you are an athlete who has a goal, and nutrition is part of the plan towards your success. WHATEVER DRIVES YOUR DECISION is a good reason. And so I leave you with this quote and wish for you that on your journey toward better overall health, you trust your decision to make positive changes to your body and pat yourself on the back along the way. Keeping it Together Over The Holidays! I’ve had clients tell me “December is a WRITE OFF” or let’s start after the holidays. But I beg to differ. I think that you can totally keep it together over the holiday season, it just takes a bit of common sense to keep on track! So, let’s take a look at some things you can do. First off, just because there are bowls of chocolate Santa Clauses all over the office, it does not mean your hand has to dip into that bowl every time you walk by. Little chocolate Santas don’t whisper “eat me OR ELSE,” (we just think they do). Studies show that if you keep these types of “tempations” far enough from your desk, you are much less likely to indulge. OUT OF REACH, OUT OF SIGHT..OUT OF MIND..OUT OF HAND..OFF OF HIPS AND BELLY! Move those bowls and boxes of Christmas Chocolates out of sight and far enough from your desk that you have to get up and go find them. Seriously. Move them. Parties. Yes we have parties, but some people make it sound like there is a party from Monday to Sunday for the next 4 weeks! If you have a party or two every weekend it does not mean that the week is a write off. OR the weekend. You can still eat balanced nutrition all week and all day during the weekends. On top of this when you do get to the party, arrive having eaten normally all day. Don’t starve yourself all day with the thought that you are going to KILL IT TONIGHT! and pig out! Rather if you go with a normal appetite and make reasonable choices and don’t over eat, chances are you really won’t eat that much more. So don’t starve yourself the day of the party. Make wise choices. A piece of lean protein (fish, chicken) some salad if there is any, vegetables on the veggie platter, and some starches (potato, pasta, rice). Sure it may not be ideal, but DO THE BEST YOU CAN. It’s all you can do. Just keep the portion sizes the way you would at home. Bringing something to the party? Bring something HEALTHY! And eat it! Make a nice big salad with fresh berries and goat cheese and candied pecans, people will love it! If you want to try the dessert, leave a bit of extra room that you normally would not, and just have half a piece. Chances are if you don’t eat sugar often, you won’t feel great suddenly downing 3 pieces of pie, ice cream and a “light” eclair anyways! And who likes a sugar coma? Count me out! Just common sense. Don’t over do it. For the Americans in the crowd this is even more important. With Thanksgiving and Christmas hitting each other in the same 40 days…it’s often too easy to get on a cheating roll…which turns into a belly roll! I believe the holiday weight can be avoided by changing your frame of mind. Don’t think “it’s a WRITE OFF” just think, I will have maybe 2-3 cheat meals, but THEN I will get right back on track on my day to day nutrition. In fact, COMMIT TO THIS. When you are at a party enjoy the party. Remember that the season is about the people, the family you are seeing and sharing with others. No one is forcing gravy and pie down your throat! (Ok maybe some people try?) And it is PERFECTLY OK to say no to dessert. Even if you get that “look.” They’ll get over it. Trust me. Everything in moderation. Do you remember the last time you had to lose 5-10 lbs? It takes dedication, and attention to detail. Imagine, you can be that much more ahead of the game this year by changing your frame of mind. We simply get so busy that it seems to be hectic and we tend to feel like we were at 100 parties by the time it is all over. It can be an exhausting time of year. One day at a time. Don’t forget to breathe. And you will be amazing. While you may have a bit of time now, consider making some BULK recipes. Chili, Fajitas, Stir Fries, Sheppard’s Pie etc and freezing portions in the freezer. When the days are hectic and you have kids and shopping and parties, pop one of those in the oven or microwave (it happens-just remove it from the plastic!) and save the time of cooking. Buy the veggie tray at the grocery store for yourself at home if that’s what it takes. YOU NEED TO HAVE THE FOODS AVAILABLE TO SUCCEED AND YOU NEED TO TAKE THE STEPS TO MAKE THAT HAPPEN TO SUCCEED! Do whatever it takes. This weekend, dedicate a few hours to making a few bulk meals. It will be worth it! Have fresh fruit and single serve yogurts on hand in the fridge for a quick snack (both at work and at home) along with some raw almonds. I also recommend rice cakes and almond butter or rice crackers and hummus. All easy, with no cooking required. Start the day with a quick nutrient dense smoothie with fresh fruit, almond milk/rice/regular milk, protein powder, fish oils and ice. Keep it simple and you will keep it off. With the holidays upon us these are some important tips to keep you on track and keep the extra pounds from creeping up on you! And if the thought of extra pounds isn’t enough to discourage you from going no holds barred…REMEMBER HOW MUCH HARDER IT IS TO RIDE OR RUN UP A HILL WHEN YOU ARE 10 LBS HEAVIER ;). And how your competition is getting leaner! AND FASTER! Remember, everything is simply a choice. Make the right choice and when Jan 1 comes along, you will be A-OK and won’t have to worry about spending the month losing weight! 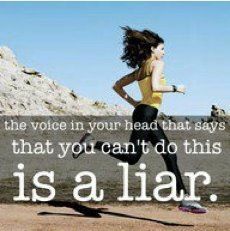 You can focus on what matters, gaining more POWER and getting ready for 2012! Until next time, treat yourself well, drink lots of water and be good to your body! It’s More Than Just a Garnish! Parsley is the world’s most popular herb. Once you have planted it once in your garden it will also return year after year making it a biennial plant. An easy herb to grow! Take advantage of this because as you are about to read parsley has many health benefits if eaten regularly. Parsley contains a few elements that give it unique health benefits. These components include volatile oil and flavanoids, folate and vitamins A and C.
One of the volatile oils in parsley is named myristicin. The activity of parsley’s volatile oils qualifies it as a “chemoprotective” food, and in particular, a food that can help neutralize particular types of carcinogens (like the benzopyrenes that are part of cigarette smoke) and inhibit tumor formation, especially in the lungs. Myristicin has also been shown to activate the enzyme glutathione-S-transferase, which helps attach the molecule glutathione to oxidized molecules that would otherwise do damage in the body. The flavonoids in parsley, especially luteolin, have been shown to function as antioxidants that combine with highly reactive oxygen-containing molecules, free radicals, and help prevent oxygen-based damage to cells. Antioxidants are especially important for athletes as we have an increased rate of respiration due to our hours of hard training outdoors. Both Vitamin C and Vitamin A are found in Parsley and are excellent antioxidants. Vitamin C has many different functions. It is the body’s primary water-soluble antioxidant High levels of free radicals contribute to the development and progression of a wide variety of diseases, including atherosclerosis, colon cancer, diabetes, and asthma. Studies have shown that people who regularly consume vitamin C have lower incidences of these diseases. Vitamin C is also a powerful anti-inflammatory agent, which explains its usefulness in conditions such as osteoarthritis and rheumatoid arthritis. And since vitamin C is needed for the healthy function of the immune system, it can also be helpful for preventing recurrent infections or colds. The vitamin C and vitamin A found in also support the immune system. Vitamin C is necessary for collagen, the main structural protein found in connective tissue. 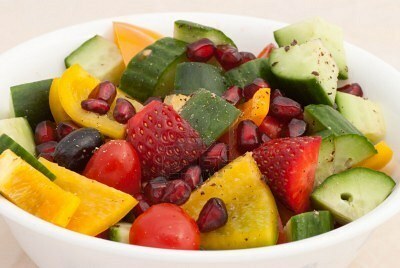 Therefor vitamin C will be important in repairing wounds in the body. Vitamin A, on the other hand, strengthens entry points into the body, such as mucous membranes, the lining of the eyes, and respiratory, urinary and intestinal tracts. Lymphocytes, or white blood cells also rely on vitamin A to ﬁght infection in the body. Clearly both vitamin A and C are important to our overall health for day to day life and as athletes. Some findings relating vitamin C and rheumatoid arthritis include the data presented in the Annals of the Rheumatic Diseases were drawn from a study of more than 20,000 subjects who kept diet diaries and were arthritis-free when the study began, and focused on subjects who developed inflammatory polyarthritis and similar subjects who remained arthritis-free during the follow-up period. Subjects who consumed the lowest amounts of vitamin C-rich foods were more than three times more likely to develop arthritis than those who consumed the highest amounts. (Pattison DJ, Silman AJ, Goodson NJ, Lunt M, Bunn D, Luben R, Welch A, Bingham S, Khaw KT, Day N, Symmons DP. Vitamin C and the risk of developing inflammatory polyarthritis: prospective nested case-control study). As far as your heart goes..parsley can help here too! There is an amino acid in the body called homocysteine that is getting a lot of attention these days. Homocysteine threatens the body’s blood vessels when its levels become too high. Parsley has folate or vitamin B9 in it which helps to convert homocysteine into harmless molecules. Eating parsley regularly can help ward off cardiovascular disease, alongside with good overall nutrition! Only two tablespoons of parsley contain 16% of the RDA of vitamin C and over 12% of the RDA of vitamin A – two powerful antioxidants. So, perhaps that garnish on your plate can be incorporated into your nutrition plan a little more often! Consider juicing parsley, or making a tabouli recipe, adding parsley to your pesto recipe for more texture, making a chicken rub from parsley, lime/lemon zest and garlic or ginger, adding parsley to soups, or discovering some parsley recipes that you enjoy! Now you know…that little green sprig on your plate…is more than just decoration :)! Like most things in life…deciding to improve your nutrition really does require some mental fortitude and desire to CHANGE. I was told once by a Sports Psychologist friend Mike Garth (http://www.sun1400.com), that in order to change, the consequence of NOT CHANGING needs to be big enough to force the decision to change (something along that line!). The point being, often times if there doesn’t seem to be an obvious consequence to what you are currently doing..it is often more difficult to actually change. In this case I am referring to your nutrition. I’d have to agree. And in agreeing I challenge you to look closer at the consequences that may not be glaring. When it comes to health, and deterioration of health, it is not an OVERNIGHT occurrence. For some it can take years of putting empty calorie non nutritious foods in their bodies before they actually see a side effect so strong that it forces them into change. The changes in energy may have been there all along, but for most this won’t push them into a lifestyle change. Oddly enough though, knowing this, I am amazed at the amount of times i hear “I was just told I have Type II diabetes, I don’t understand what happened.” Really? Well let’s sit down and take a look what you have been throwing down the hatchet. There is a large DISCONNECT in today’s society between what we put on our plates and in our mouths and HOW WE FEEL. Both emotionally and physically and spiritually. Don’t fool yourself. YOUR BODY IS CREATED FROM THE FOODS YOU PUT IN IT. Yes..we have all heard it, YOU ARE WHAT YOU EAT. Whoever said this first…wasn’t kidding. Every cell in your body, requires nutrients to build it. The choices you make EVERY day DECIDE if these cells will be good, mediocre, unhealthy or GREAT! I like to picture my cells as little face icons. If i eat empty calories such as pastries and white bread all of the time I make sad cells, weak cells 🙁 but if i nourish my body with healthy choices like quinoa, fresh fruits, vegetables and fresh water, I create strong happy cells . Sure that is a simply way to think, but if you can build your body up with strong happy cells, every tissue in your body becomes stronger, your mood is better and your overall energy is better. I remember one year in the fall I rode my old beater bike continuing all through the winter…I didn’t clean it much…and it was slowly getting in worse condition, and eventually I hung it up and left it there until next fall. (If you have done this you know what is coming!) I’m not sure what I was thinking that my bike would be in good condition next fall! Deep down I knew I was being lazy! Period! As the chain was slowly getting rusty…and dirty had crept into many crevaces on the bike, it’s condition was slowly deteriorating. Sure enough when I did go to take it on the road the chain was so rusty that it busted…but really HOW COULD I POSSIBLY EXPECT IT TO BE IN GOOD SHAPE AFTER THE WAY I TREATED IT!? If I had actually said “I don’t get it..i can’t believe I have to get a new chain..maybe even a new derailler etc,” well that would simply have been ignorant of me! The bottom line is I GOT LAZY!…and I let it slowly corrode and then SOMETHING HAD TO GIVE! Well your body is the same. Yes…we get LAZY too. When I started writing today my point was this. In life, often we need something to go WRONG in order to force us into change. In fact our biggest transformations in life come through struggle…not when everything is skipping along nicely. Strength and growth come through turbulent times. However nutrition is tricky this way…it can slowly eat away at you an them WHAMMO….your heart…your pancreas…your colon…anything..can give. It’s not like this constant struggle for most..rather a slow deterioration that we don’t really notice..until that day..when we NOTICE! Sometimes in life it is us who needs to MAKE a decision, before it needs to be made for us. It is difficult. But perhaps being able to FORESEE that consequence and knowing that you don’t want to allow your body to become this unhealthy, can trigger you to make the lifestyle changes that you KNOW deep down you should be making. If you listen to your gut…you likely know already..you can make better choices. So sit with yourself and ask yourself how you treat your body? Remember that YES..what you eat DOES create that body you need to walk, ride, run and live in every day. THERE IS NO DISCONNECT between food and health. THEY ARE ONE. There is no disconnect between performance and health. They too..are ONE. Don’t underestimate the power of nutrition. On your body and mind. DECIDE, empower yourself, to make some positive changes starting today, so that you can build a strong, healthy body and mind for many years to come. Decisions are empowering, and once you make one, that alone can start you off in the right direction. I’m going to make some happy cells! I’m excited to have a blog on my website to share exciting nutrition information, recipes and wellness ideas to keep you motivated and moving in the right direction toward your optimal health! My posts will also post onto Facebook and Twitter. Like my FB page and you will automatically be notified of a new NSAG posting and learn something new about nutrition! Visit my Twitter page at Guzieguz@twitter.com and see posts there if you are a Twitter fan! I look forward to sharing my passion for health and wellness with you! Please feel welcome to comment!